Ophthalmologists are hopeful that a brand new app could help thousands of children who suffer from lazy eye. Recent results measuring the efficacy of this app shows great promise for the future treatment of this disease. This app was tested at the Retina Foundation of the Southwest in Dallas, Texas. 28 children, all of whom had lazy eye, were split into two groups. The first group was given the typical treatment of an eye patch over the stronger eye, while the other group played a video game called "Dig Rush." The children in the eye patch group were instructed to wear an eye patch over their dominant eye for two hours a day. The other group played the "Dig Rush" game on an iPad wearing special glasses for five days a week. Although researchers admitted that both groups saw improvement over two-week periods, the group that played the iPad game improved quicker. This has made many researchers reconsider how they treat lazy eye syndrome. So, how does this game work? Well, before even playing the game, the child has to put on a pair of glasses designed to heighten the contrast in the weaker eye and suppress the stronger eye. This will give the lazy eye a greater workout while playing the game. The game is simply designed, but it's very addictive. Users have to move a gold miner across the screen and put the gold he finds into a cart. Of course, there are many tricks and obstacles to look out for as the difficulty increases. The researchers on this study suggest that the way the scientific community has been viewing lazy eye syndrome has been misguided. Since the video game works with binocular vision, researchers feel lazy eye should be viewed as a binocular disease instead of a monocular disease. The theory that lazy eye is a monocular disease has guided treatment options for over 200 years. Many eye specialists around the world are praising this new research. They believe using apps, video games, and movies will be a better treatment option than eye patches. Not only are these apps producing better results, they also remove the stigma that surrounds wearing an eye patch. Many children actually do not wear their eye patches because they are teased and ridiculed by their peers. These special video games with the special glasses, however, can be done in private without the sneering of fellow schoolmates. Eye doctors and app developers are very excited to take a deeper look at this study's results. They believe many games and movies can now be developed to help children with lazy eye. Lazy eye is officially called amblyopia in the medical establishment, and it affects one in 40 children in the UK. 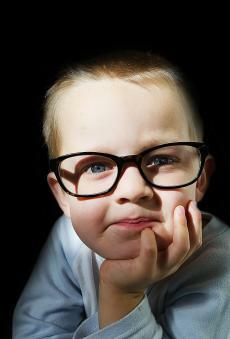 The symptoms of amblyopia generally appear at the age of four. Children with this disease often have to squint to see clearly and parents can sometimes see one of the child's lenses clouding up. Amblyopia is caused when the muscles behind one eye become imbalanced. This is known as "strabismus." Most eye doctors recommend bringing a child in for an eye exam around three years old to ensure he/she is not at risk of developing amblyopia. The full results from this Dallas study can be found in the latest issue of JAMA Ophthalmology.